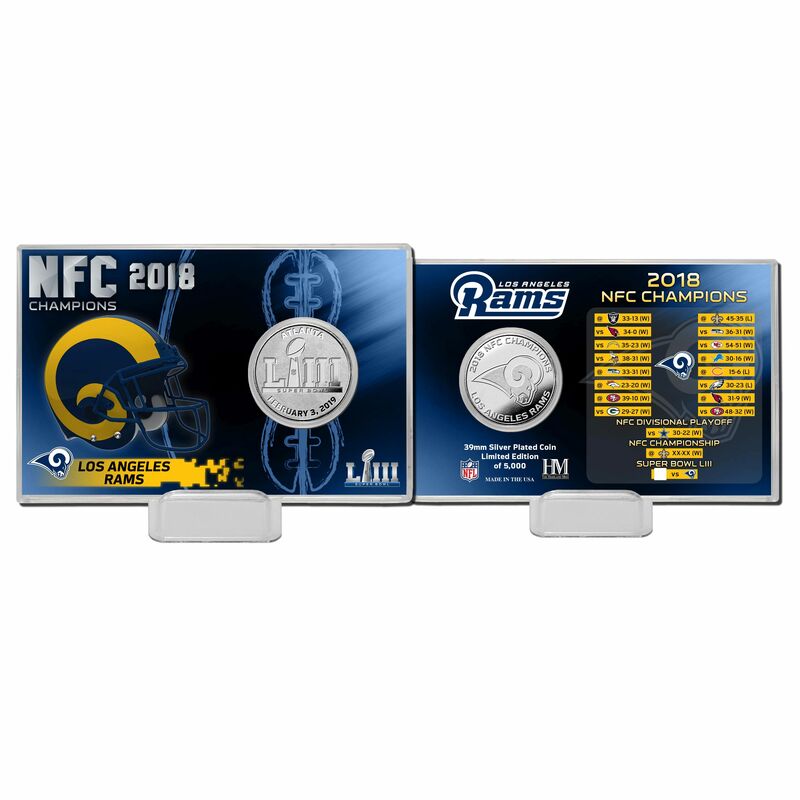 A limited edition silver plated 39mm minted commemorative coin features the official Super Bowl 53 commemorative logo on the front and the reverse is minted with the 2018 NFC Champions commemoration! Each coin is delivered in a 4” x 6” acrylic display. The display includes a commemorative card featuring the 2018 NFC Champions with their regular and post season games and scores and each is delivered with a display stand. This unique collectible is a limited edition of only 5000 and it is officially licensed by the NFL. Proudly made in the USA by the Highland Mint. Measures 14" x 11" x 1".